This looks very much like my attempts to translate Thai. 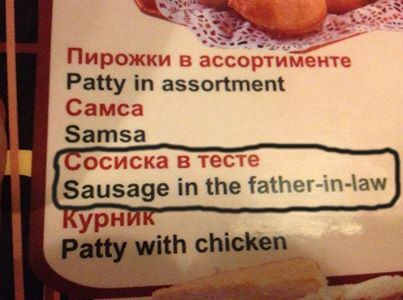 The confusion here involves the Russian words тесть [wife’s father] and тесто [dough]. Both words have the same form in the prepositional case: тесте. So the machine translation software chose the wrong word.